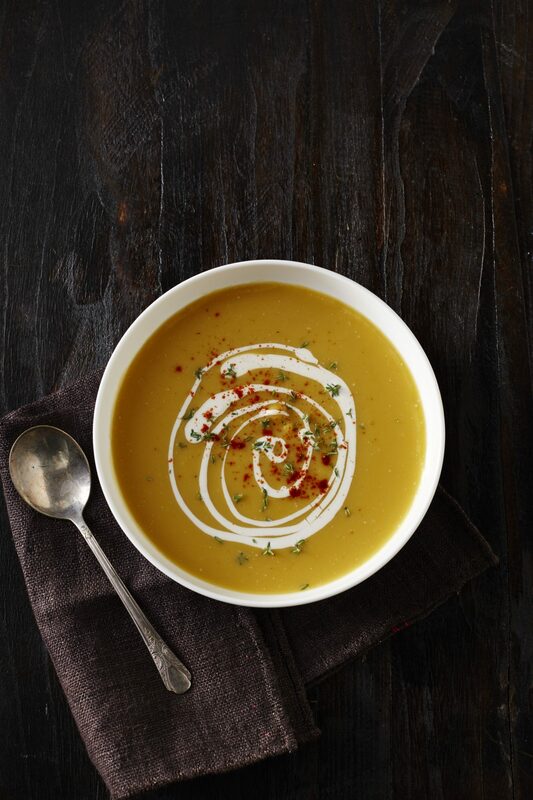 Nothing warms the heart quite like a hot bowl of soup on a cold night. This classic collection includes a recipe for every palate, and they're all quick and easy suppers for busy weeknights. This classic soup features italian sausage and plenty of freshly grated parmesan cheese. Make it a cozy night in by serving this soup with sides of broiled plum tomatoes and toasty baked potatoes. It's figure-friendly, too–each cheesy portion boasts only 203 calories. There are countless versions of this simple, elegant stew. To achieve the perfect texture of just-cooked oysters, poach them in the milk until their edges begin to curl, set aside, and return them to the stew just before serving. This savory soup takes just 35 minutes to make and is guaranteed to warm you right to your toes. Best of all, this family favorite is a great way to use up leftover holiday turkey. If you like food with a little spicy heat, then this dish will have your taste buds doing the Lambada. Round out the meal with corn muffins from your grocer's bakery or servings of packaged Spanish rice. We love this home-style recipe as is, but if you prefer a hotter bite, add extra ground red pepper or some minced seeded jalapeño pepper to our thick and hearty, corn-studded soup. The colorful, flavor-packed dish simmers for only 10 minutes. Cook a flavorful pot of chili in just 40 minutes for a quick weeknight meal or tasty game-day main dish. You can easily double the recipe and freeze extra for later. Pair the nutty flavor of the wild rice in this creamy soup with thick slices of a buttery or whole-grain artisan bread. Be sure to save a cup for tomorrow's lunch. This easy soup brims with fresh vegetables; canned beans and orzo make it hearty and filling. Use a vegetable peeler to quickly remove the skin from the squash. This delicious soup is so robust that no accompaniments are needed, but if you'd like to offer a side, consider a simple green salad.